“Chicago Med” is back in production and about to film the season opener. Casting directors with Chicago’s 4 Star Casting are looking for babies, under 9 lbs, of all ethnicities. The show needs babies that look like newborns to work one or two days later this month. There is also a casting call out for ladies in their 20’s to play med students in the first episode of the new season and possibly future episodes as well. The show starts production on the 20th. See below for the details. According to NBC, the Chicago-centric series focuses on the city’s most explosive hospital and its staff of doctors and nurses — a world first glimpsed in the “I Am the Apocalypse” episode of “Chicago Fire.” Relationships are forged in the chaos of the emergency room, where the team tackles cases inspired by topical events. Familiar faces from the city’s police (“Chicago P.D.”) and fire departments make appearances as the rich world continues to grow. Casting Alert – On our season opener for “Chicago Med”, we need newborns! Twins, triplets, or singles welcome. All ethnicities. We are searching for newborns 9 lbs or less to work one or two days on “Chicago Med”. We start shooting July 20th (the episode takes 8 days to shoot but we only need the newborns one or two days.) If your newborn is cast you will need to obtain a work permit (we can tell you how to do this). To submit send a recent picture of your newborn/s along with their current weight, in pounds and ounces, their length, and DOB to xtra1casting@gmail.com and put “newborn” in the subject line. Include city, state, phone number and parent’s name. We take great care of newborns on set! We have lots of experience handling babies and we always have a nurse on set. We are searching for males and females, 20’s to late 20’s, to work as med students on “Chicago Med”. We will be shooting July 20th through the end of April 2017 and we want to cast people to work as extras who are flexible and who can work when we need the “Students” for each episode. If you have not worked as part of the medical people on “Chicago Med” and you are available to work when we need you send a recent color photograph with your height, weight, age, phone number, city and state to xtra1casting@gmail.com and put “Med student” in the subject line. NO HEADSHOTS, NO SELFIES, NO COMP CARDS, NO PICTURES WITH SUNGLASSES OR HATS! 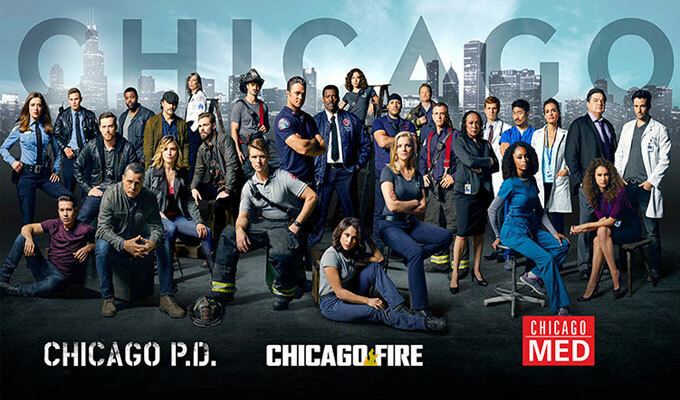 By the way, NBC’s other 2 Chicago dramas, “Chicago Fire” and “Chicago P.D.,” are also in production right now. Please see those pages for casting information.